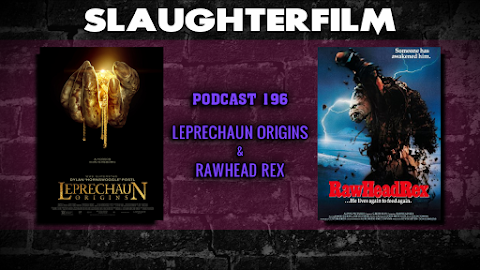 They also chat about the highs and lows of St. Patrick's Day, Harrison Ford playing Indy for a fifth time where he lives in a retirement home and a promising film being crowdfunded (Anne Dark). All this and, "I hate it more than life itself!". For more Slaughter Film news and reviews, as well as show notes and special events, make sure to visit our website; SlaughterFilm.com.